Last Thanksgiving I came across a tutorial for making a pilgrim hat using a clay flower pot - check it out here. I never had the time to make it, but saw an opportunity to use the same technique for a different holiday...St. Patrick's Day! 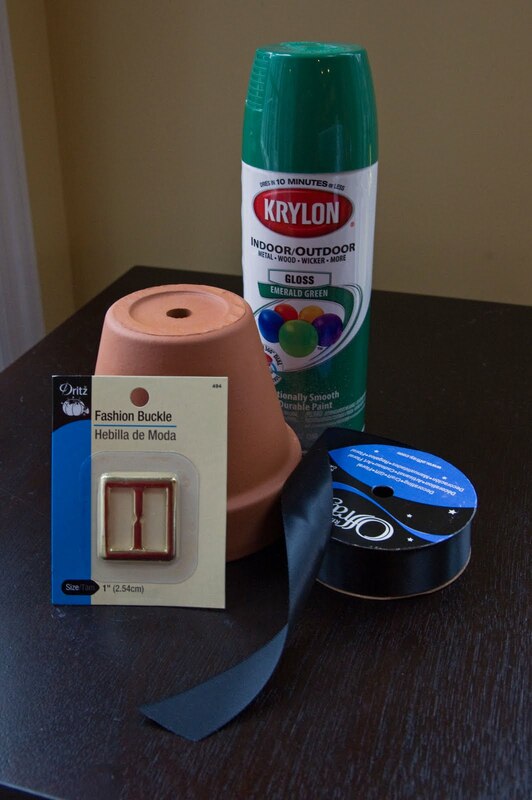 First paint the flower pot (I couldn't get the spray paint to play nice with the clay, so I used green acrylic paint instead), then wrap the ribbon through the buckle and around the pot - that's it! 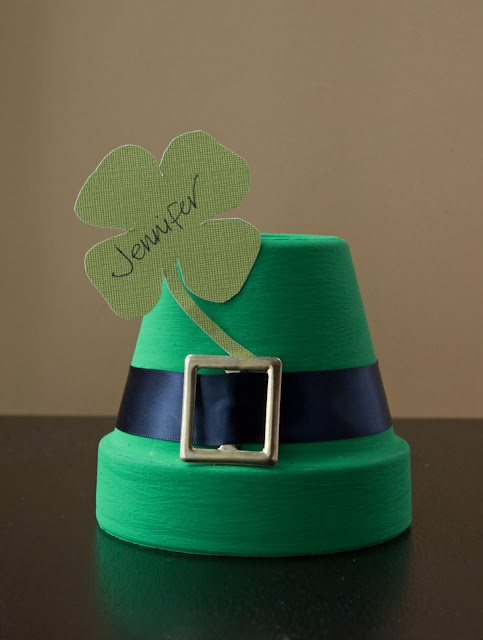 St. Patrick's Day dinner for 8 and will use this idea. Love it. Thanks so much. Love this! I am doing a St. Patrick's Day series on my blog this week and am featuring this and your pin on my blog (with direct link to your site!). Thanks for such a cute and crafty idea!